For example, if we are interested in the research of the tumor suppressor gene TP53 in cancers, we can enter into the “Gene” module to search for the gene. Firstly, we obtain a summary of the TP53 mean expression levels and somatic mutation rates in 33 cancer types. We find that TP53 has the highest mutation rate of 91.2% in uterine carcinosarcoma (UCS) and has the second highest mutation rate of 83% in ovarian serous cystadeno-carcinoma (OV). There are ten cancer types that have a TP53 mutation rate greater than 50% in total (Fig. 1a). Moreover, we can find a summary of the variant classification of TP53 mutations in cancers, e.g., in pancreatic adenocarcinoma (PAAD), 64 and 12% of TP53 mutations being missense and frame-shift insertion, respectively (Fig. 1b). Importantly, we can find the associations of TP53 mutations with survival prognosis in cancers. 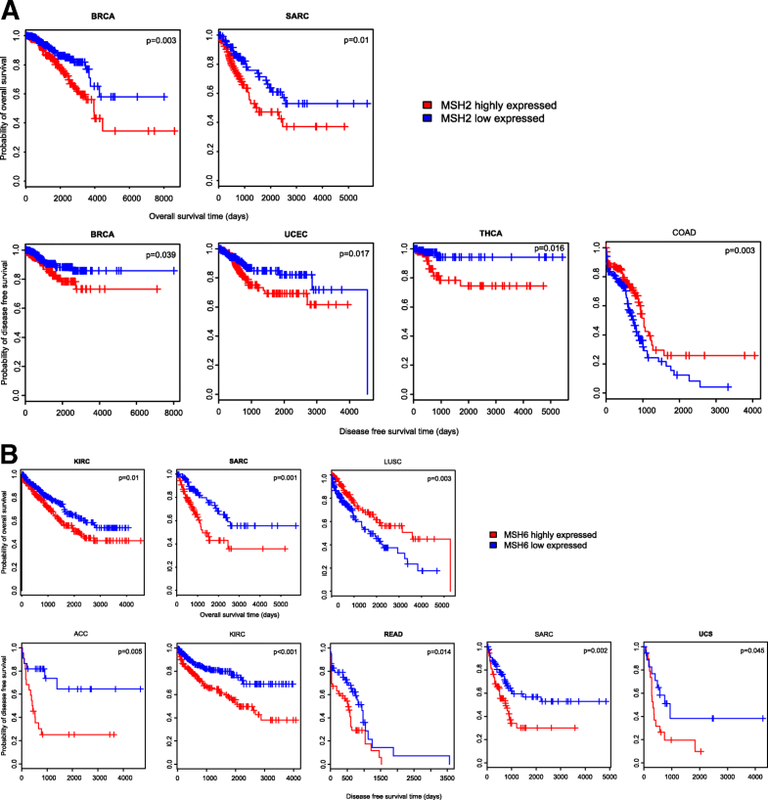 For example, TP53 mutations are associated with worse survival (overall and disease free survival) prognosis in PAAD (Fig. 1c). 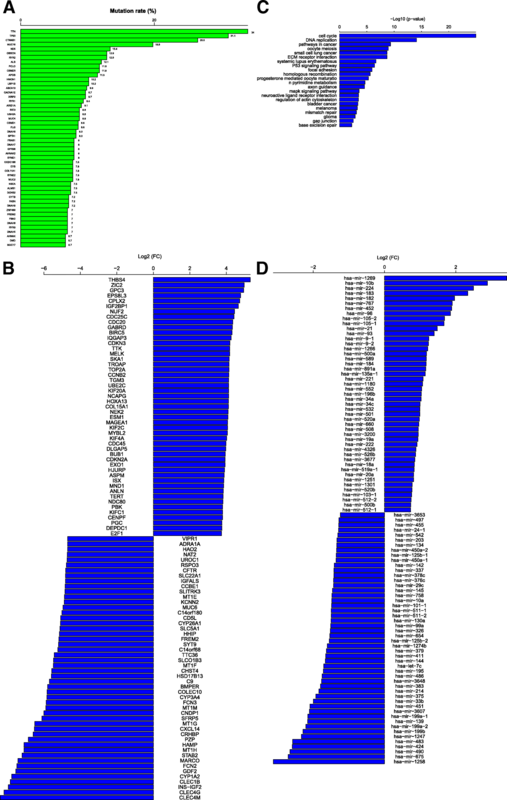 In addition, one could be interested in the expression associations of other genes with TP53 in cancers, e.g., the expression association between PLK1 and TP53 in PAAD (Fig. 1d). 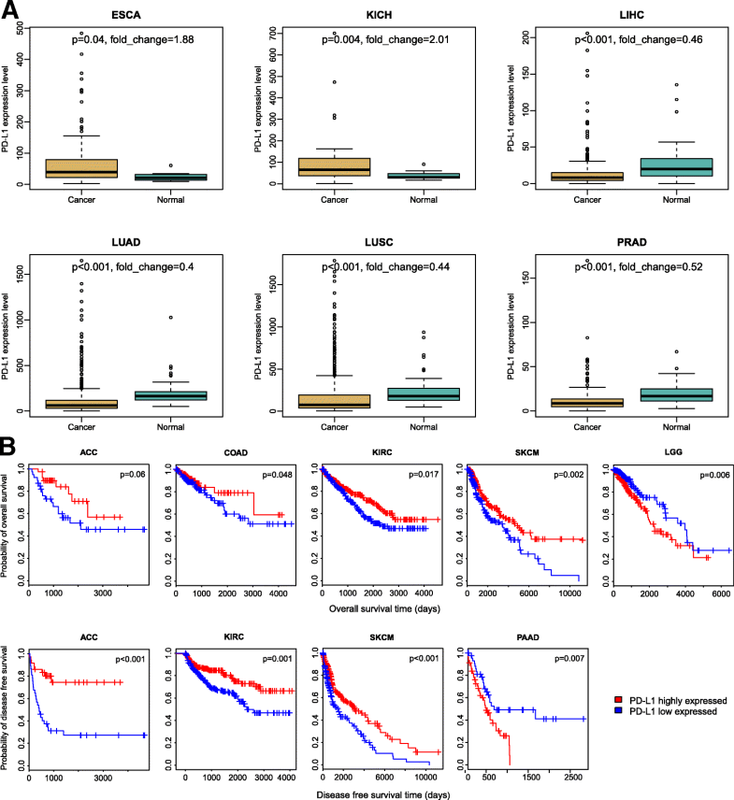 In fact, previous studies have shown that PLK1 interacted with TP53, and that p53 dysfunction caused enhanced expression of PLK1 in cancers [6–9]. 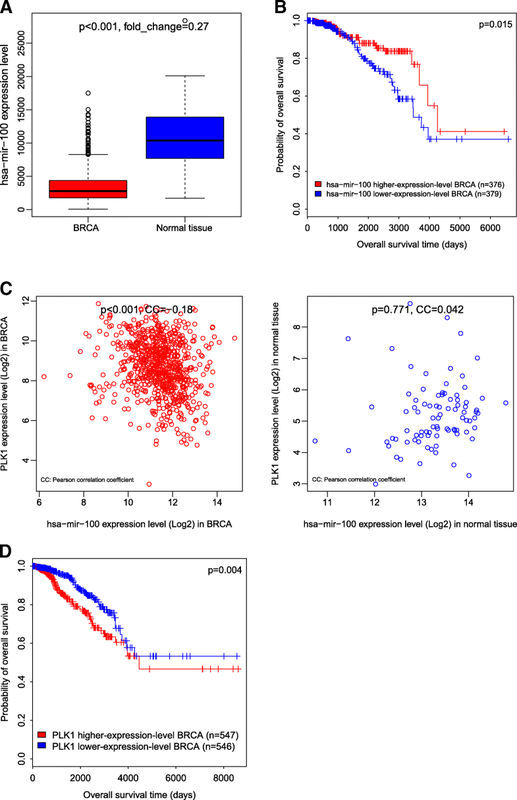 In the “Pan-cancer” module, TCOA outputs the genes consistently up-regulated or down-regulated, pathways significantly up-regulated, and genes whose deregulation is significantly associated with survival prognosis across various cancer types. This module also outputs the genes that are differentially expressed between cancer and normal samples, and between low-advanced and highly-advanced cancers across various cancer types. We refer to early-stage (Stage I-II) or low-grade (Grade I-II) cancers as lowly-advanced cancers, and late-stage (Stage III-IV) or high-grade (Grade III-IV) cancers highly-advanced cancers. 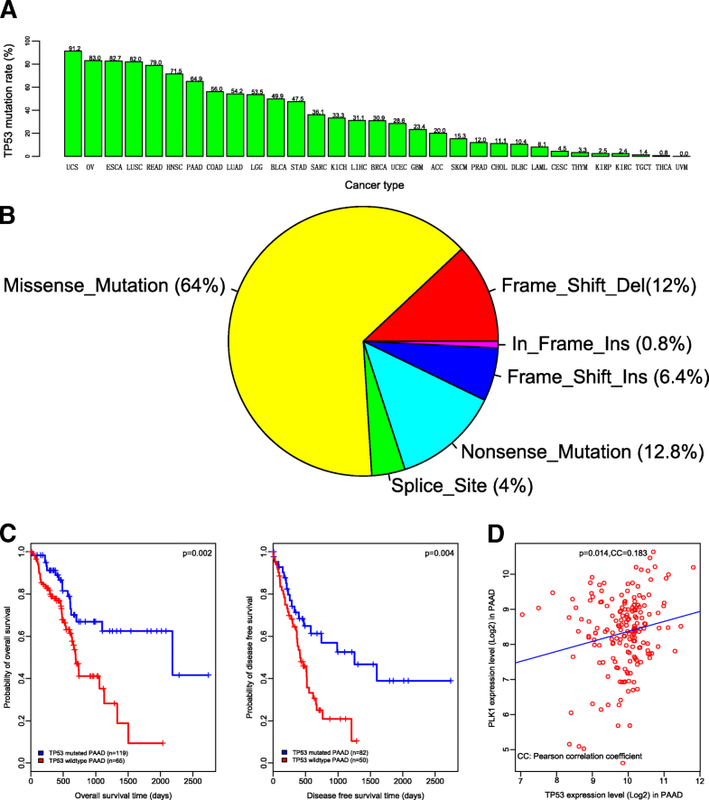 A comparison of tumor mutation burden (TMB, defined as the total number of substitutions, regardless of variant type) among different cancer types is also shown in this module (Fig. 4). Figure 4 shows that cutaneous melanoma (SKCM) has the highest median TMB, followed by lung adenocarcinoma (LUAD) and lung squamous cell carcinoma (LUSC). It confirms that TMB was associated with clinical response to immunotherapy [17–19] in that several cancer types with high TMB have shown positive response to immune checkpoint blockade treatment such as melanoma  and non-small cell lung cancer (NSCLC) . The results presented in the “Pan-cancer” are mainly based on a recent study by our group .